Wine company Shumi is one of the leading producers of high-quality Georgian wines. The company winery is located in Tsinandali, the centre of viticulture and wine-making in Georgia. Their premises border with a national park-museum, once belonging to the famous Georgian poet and public figure of 19th century, Prince Aleksandre Chavchavadze. Prince Chavchavadze was the founder of the first winery in Georgia. Shumi owns vineyards in unique micro-zones, famous for their geographic locations, climate conditions and are steeped in a rich heritage of wine-making and viticulture. The main advantage of the Wine company Shumi is a full cycle of production in a so called “closed cycle”, simply meaning they alone handle all stages of wine-making, from growing and harvesting grapes to producing and bottling the finished wine in brand-name bottles and releasing it through distinguished trading outlets with impeccable reputation. Since 2004 Wine Company Shumi has collaborated with the famous French winemaker Jean Michel Ferrandez who is closely working with Shumi's young talented and experienced wine-makers Goga Khatiashvili and Vakho Khutsidze. Thanks to this trio, Shumi's wines are regularly winning many awards at international wine challenges and competitions. The latest achievements are Shumi's qvevri wines Iberiuli Kisi and Iberiuli Saperavi wining Platinum and Best in Show Decanter awards DAWA 2018 and Mundus Vini Gold award. 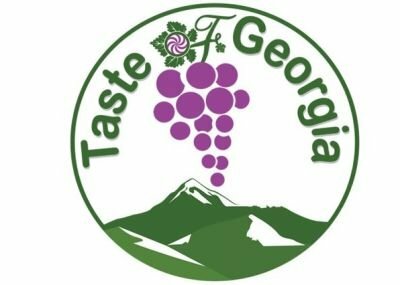 Shumi is the first and the only company in Georgia to establish a Vine and Wine museum dedicated to Georgia’s multi-century history of viticulture and wine-making. Their oldest artefact is 6000 years old. The collection vineyard “Vazioni” contains up to 900 grape varieties, from which 400 are Georgian indigenous varieties, some of which had become exceptionally rare in modern Georgia. In addition, “Vazioni” has 500 foreign grape varieties that come from all over of the world, that mean this vineyard boasts one of the largest private collections in the world.